Today is the final day of the Sweet Rebellion fabric sewing challenge we’ve been hosting with our friends at Ink & Arrow Fabrics! We are really excited to close out our series with the work of Karen of Capitola Quilter. We are in awe of her modern colorful aesthetic and amazing technical skills. Karen created a truly stunning quilt that perfectly reflects the spirit of the Sweet Rebellion line. 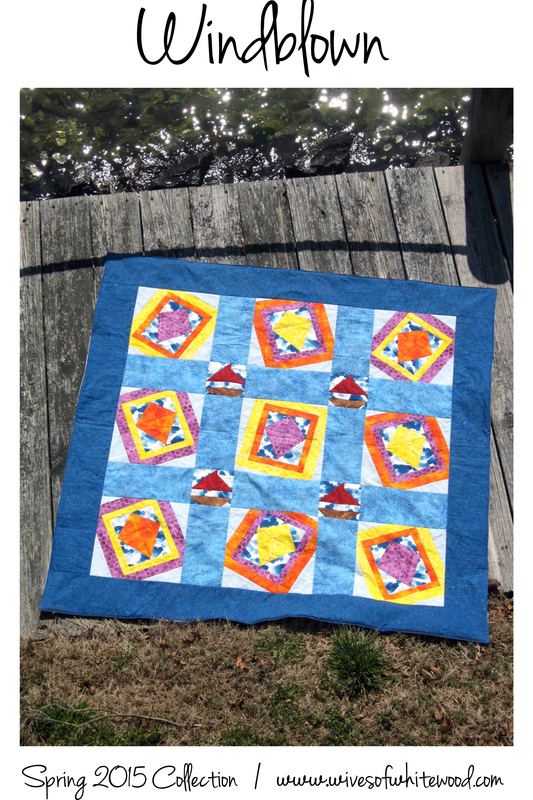 Head on over to her blog to see the final quilt. We wanted to extend our sincerest appreciation to our contributors this week. We have been so inspired by their talent and creativity and it was so much fun to see the how these fabulous fabrics work in so many different types of projects. And who can’t get behind fabric that has sweet little hidden secrets? Finally, today is the last day to enter our fantastic giveaway! Come find us on Instagram to enter to win 1/2 yard cuts of all 17 fabrics (11 prints and 6 blenders) from this line!!! The giveaway closes today at 7pm EST and is open to US and international residents. Good luck! If you follow us on Instagram (@wivesofwhitewood), you know that we recently teamed up with the fantastic folks at Ink & Arrow Fabrics to showcase one of their new collections with a fun sewing challenge. Our friend Tiffany at Ink & Arrow clearly gets us because she knew we would jump at the chance as soon as we saw these fabrics. The line is called Sweet Rebellion and is just like us – sassy and sweet. The bike chains, the bees, the skulls, the peonies – we couldn’t get enough. So to celebrate this fun new line, we lined up 6 amazing sewers, bloggers, designers, and overall super creative women who have created some fantastic projects to share with you. We’re kicking off this week with one of the most talented quilters around – Cindy of Live a Colorful Life. 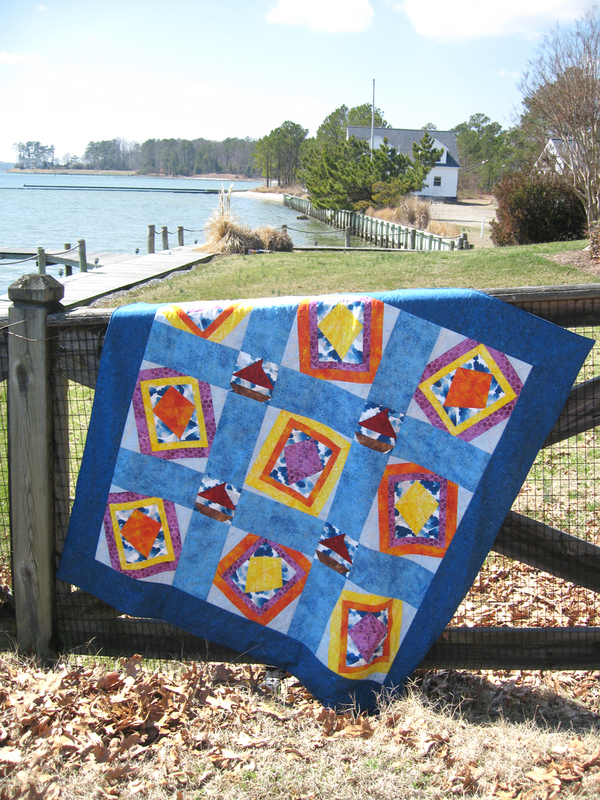 She created a beautiful, fun, and of course colorful mini-quilt using a block of her own design. Head on over to her blog to see the final quilt and find the tutorial to make your own blocks and quilt. And finally, we’re excited to announce a fantastic giveaway. Come find us on Instagram to enter to win 1/2 yard cuts of all 17 fabrics (11 prints and 6 blenders) from this line!!! The giveaway will close on Friday at 7pm EST and is open to US and international residents. Spread the word! Have you missed us? Because we’ve sure missed you!! We can’t believe it’s been over 6 long weeks since we last posted, but sometimes adult life just finds a way to take over and meanly steal your sewing mojo. But now we’re back and happy to report that not only has our mojo been found, but we’re ready to release the first pattern from our new collection… our first quilt pattern! Our Spring 2015 collection is inspired by wind, and more specifically the fun things in life that are powered by wind – kites and sailboats. And since kites and sailboats are better operated outside (or so we’re told), we wanted to design a quilt that would inspire you to get outside and use it. Our quilt is kind of an exploded nine-patch (is that a thing? ), with large kite and small sailboat motif blocks. We had a great time choosing all of these beautiful batiks from Quilting Adventures. They remind us of waves and clouds, also powered by wind. What can we say… when we go for a theme, we go all out. We think it looks pretty great in solids too, as you can see from this portion of one of our test quilts. Just like we do with most of the bags we design, we incorporated a fun optional feature to our quilt. You can add corner pockets to the quilt back to fill with sand or rocks to keep it from blowing away on you. So simple, yet so useful. We also used PUL (polyurethane laminate) for the backing material so that it’s completely waterproof. MacArthur award, here we come. The PDF pattern has 13 pages, over 65 color photos, and 8 diagrams. You can buy it via instant download in our Etsy or Craftsy shops for only $9. The finished size is about 58” x 58”. Come back in a few weeks, when we’ll release the first of the three bags we designed for our wind inspired collection… the Carried Away tote! And be sure to check us out on Instagram where we’ve been posting sneak peeks of what we’re working on and other fun things, like eating chocolate while sewing at 9am.